This Christmas my sister, who works as a conservator at Kensington Palace, gave me the best gift a bibliophile could possibly hope for: preservation. 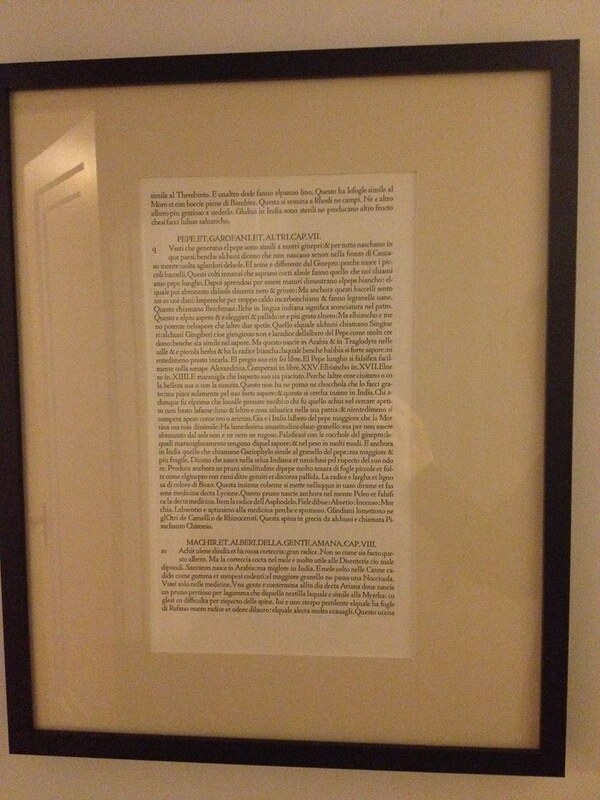 Specifically, she mounted, matted and framed much of my growing collection of ephemera. 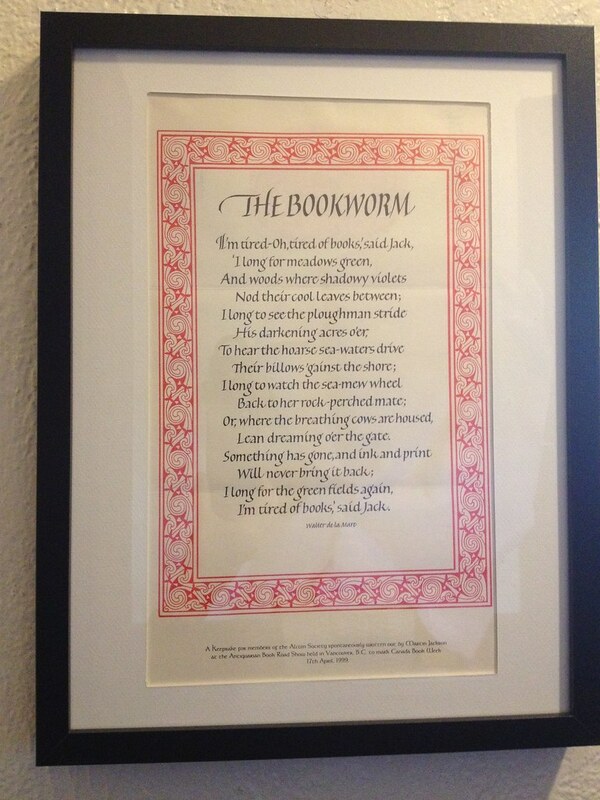 The Bookworm, a keepsake from the Alcuin Society and a warning to my houseguests. I’ve blogged before about real value added in publishing and, well, here’s a prime example. There seems to be a growing trend of including ephemera in paper periodicals, ranging from the postcard-sized prints included in each issue of The Devil’s Artisan to the large-scale bookish curios that form the basis of The Thing. 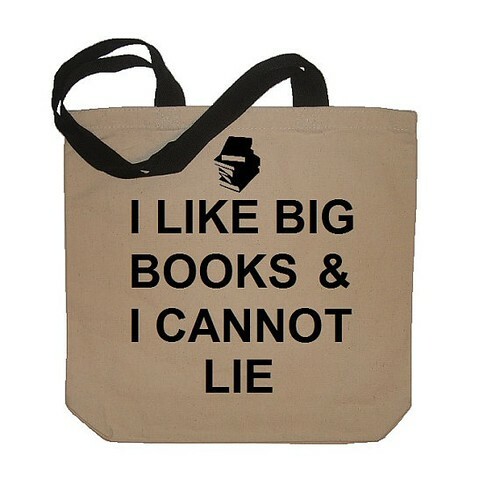 It’s an easy gimmick, really. If you want to sell a periodical as an object rather than the content, you need to capitalize on the physical. McSweeny’s has figured this out and with it reaped great success. Canadian periodicals haven’t become so ambitious as to print a Douglas Coupland bedspread (yet), but I love what I’ve received from Canadian Notes and Queries, Amphora, and DA nevertheless. The first keepsake from CNQ. Bit by bit my house looks less like an exploded college library and more like the private museum of a gin-muddled librarian. I must be growing up!